Protect your furniture with our furniture cover. 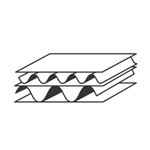 Pack Now`s Furniture covers are manufactured from 100 micron thick plastic. Dimensions : 2m x 1.85m (L x H) Thickness: 100 micron Qty: Single units can be purchased, bulk pricing applies call us. Packing Limit: Double seater couch Colour: Brown Items can be purchased online or shop at one of our Pack Now branches. Dimensions : 3m x 1.85m (L x H) Thickness: 100 micron Qty: Single units can be purchased, bulk pricing applies call us. Packing Limit: Three seater couch Colour: Brown Items can be purchased online or shop at one of our Pack Now branches. Dimensions : 5m x 1.85m (L x H) Thickness: 100 micron Qty: Single units can be purchased, bulk pricing applies call us. Packing Limit: Four seater couch Colour: Brown Items can be purchased online or shop at one of our Pack Now branches.